Here at KSTVS we are proud of our history. Our history is what has shaped us and made us stand out from the crowd. We feel it is an integral part of our school and explains perfectly how we got to where we are, and more importantly, where we are going. Below we have created a simple version of our school history, highlighting the key years and events up until today. The turn of the millennium found Dave Belcher and Pat Saohin working together at Samui’s first international school in Cheweng, aiming to help create and build this school up from its foundations. They both had a dream of one day running their own school, but for now it would have to wait, the international school was of prime concern. As time went on and Dave begin to feel more confident working in the Thai system, he began to ease himself into the tutoring and summer school business alongside his classes at the international school. The summer school and tutoring took off like a storm, and with help from his new Thai colleagues, these magnificently put together classes turned into a great success. After 2 years the international school they worked so hard on closed its doors, and so, Dave and Pat took their opportunity to seize their dream, and officially opened their own tutoring school on Koh Samui, in Bang Rak. They continued with their summer school program and also expanded their teaching field to corporate teaching, teaching English to staff at many local business and organisations, such as Samui Bangkok Hospital, Tesco stores and high end hotels, just to name a few. Due to their unique management style of having both nationalities running the school, once again their vision materialised, and so they finally had begun on their journey of recognising their dream of owning their own school. After 2 hugely successful starting years they had quickly reached the point of expansion, and so moved locations to their current 4 story town house in Maenam. Now, with their own building, they were finally in the position to apply for a Tutoring School license. This was ground breaking, no one at the Ministry of Education knew how to handle their request as they had never seen it before, and due to their uniqueness it would take 2 years for them to be officially granted their Tutoring School license. 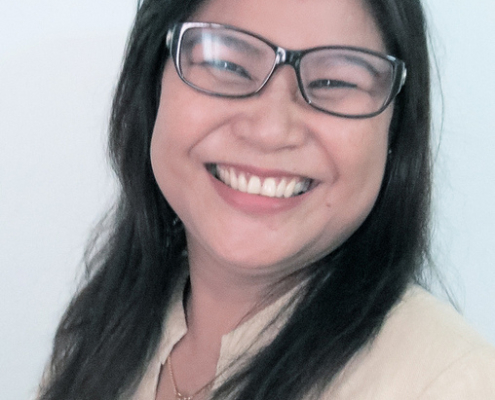 In these 2 years they meticulously adapted to meet all license specifications, from dealing with building regulations to Pat taking an Education Management course in Bangkok University in order to be the school’s Principle. But none of the strict licensing rules perturbed them, and so they strived on, finally successfully meeting every criteria for their requested license in 2007. After a long 2 years their hard work had paid off, and their new Tutoring and Vocational School license granted them the opportunity to teach adults in class as well as children, expanding their already successful programs to a whole new audience. 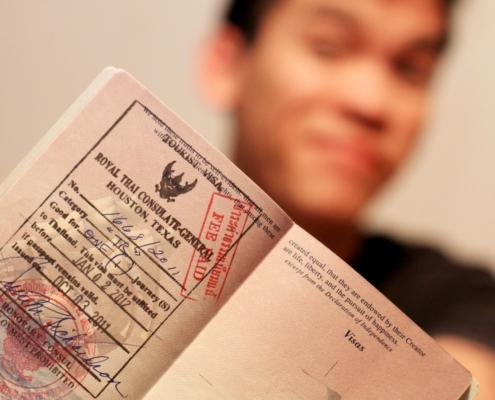 Encouraged by their recent success, in the same year they applied for a license to teach Thai language courses, which would end up enabling them to offer Educational visas, a.k.a Non Immigrant E Visas, to their students, but like their last license application, it wouldn’t be a simple task, like before it would take 2 years to be granted their wish. 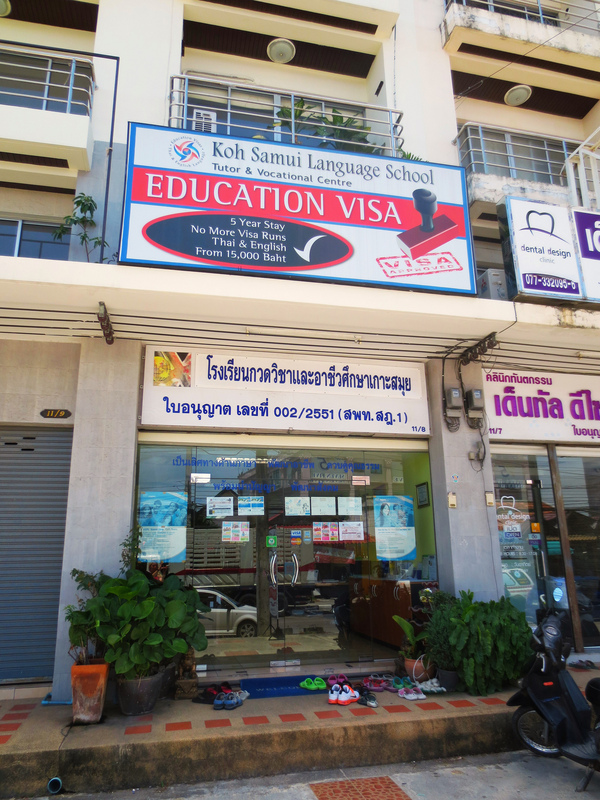 Once again their application was the first of its kind on Samui, no other language school had applied for a license to teach Thai, this pioneering spirit really was becoming part of the schools bones, proving to the world and themselves that they had what it takes to succeed. 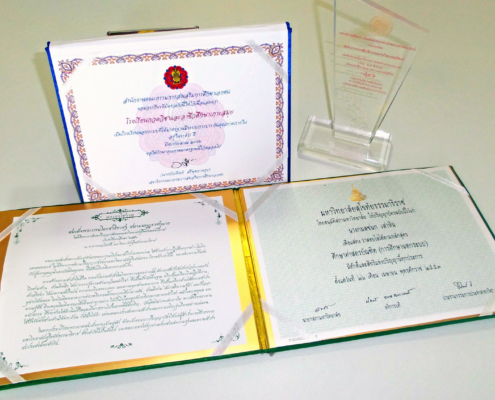 In the middle of their Thai language application they were recognized by Thailand’s Ministry of Education and were awarded the much sought-after ‘Quality School Award’ for South Thailand, an award which they would go on to win an impressive 3 times, a feat which has never have been achieved before. 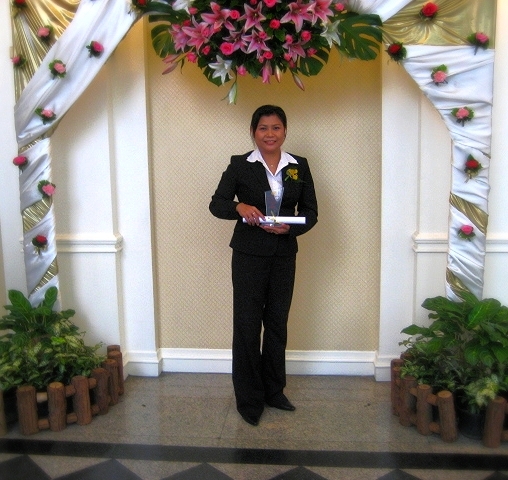 In 2009 they were granted their second license, and so the ability to teach Thai language. This opened up their doors to the entire English speaking community. The school suddenly took on a whole new aspect of their business, that was the ability to offer their students not just quality education, but an education visa as well, a privilege that only a few educational institutes have. This great privilege is one which has helped massively towards to schools success, as offering students a chance to live and study in the country legally would help many of a good willed student. 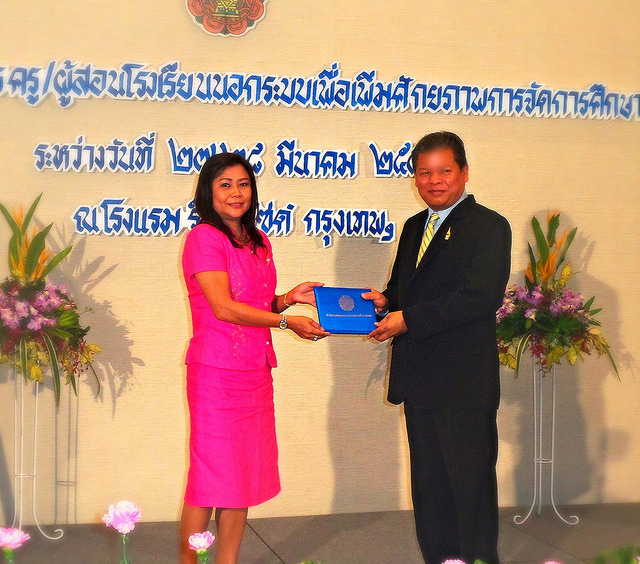 Since the school was granted their Thai language license they success only kept growing, and there seemed like no stopping them as they went on to win their Ministry of Education ‘Quality School Award’ for a second time, becoming the only school in south Thailand to have done so. Their summer and autumn camps, which have been running since the beginning, have kept up with the pace, with the camps still regularly running every school holiday, once having an impressive 200 children at one camp! KSTVS has learnt many things over the years and has used their uniqueness and professionalism to get ahead of the game. Their students are always given the best in educational standards and their good work hasn’t gone unnoticed, their corporate clientele dramatically expanded over the years, spreading to almost all types of industry on the island, teaching English to Banks, hospitals, immigration, revenue office, shops, car dealerships and almost every hotel. There really is no stopping this great team.